ufx.com contacted me in a similar way asking for deposit of $500 to get a trainer who will help build strategy, which i declined at first. But they started calling persistently, at times 4 times a day. I considered their persistence and decided to give them a try. They asked I deposit $500, which I tried, but their system wasnt working. Later when they called I told them the system wasnt working, then they said they were going to solve the problem, only to make a withdrawal from my account. I was upset, but they came with their sweet word, that they will make it count. Next they asked me to download team view and open position on oil, which few minutes later, the $1000 was almost gone, and as a rookie trader, i decided to hedge the position, thats after several emails, asking their opinion, that i am not comfortable the way the trade is going. Later they called, and started blaming me that i should not have done anything on my trade. Now that they cannot perform, that i need to add $9000 which i declined. they called severally asking for more money, and each time I declined, after numerous calls i decided to add $500, but again I couldnt make the deposit. Just like before, although this was the so called Trainer speaking, he said he will pass on to the finance team to resolve the problem, next I saw another withdrawal of $1000 from my account. I was very upset, then they started their sweet talk, that now that he is going to concentrate on my account and he wasnt going to loose focus anymore. Abut an hour he called again, that he want to make the account a classic account that i need to add more $8000, I dont have that kind of money to give him, moreover I dont even have that amount in the bank account im using. Next he said he doesnt believe me, should he try, i said try what, he said try withdrawing $8000, i said try na, you will see it wont go through, only for him to withdraw another $1000 which was the last money in the account. i was very upset, and hung up the call. Next he called, and started pleading, and asked me to open trade on gold. Which i did, and he asked me not to hedge it, that thier system is decided to avoid margin call for my type of account. Only for this criminal to call 24 hours later, that i need to add $5000 otherwise i was going to loose all the initial deposit. It was then i started researching about them, and i came across this post to realize what has happened to me. Before i could log into the account again, the entire money (according to the fake account they gave me) has left of $129. I have told them to return all my money that those withdrawals were without my authorization, they refused rather they sent this email, saying some crap. I told them, I was going to end their fraudulent operation for good. I have always had the intention of fighting fraud, and i want to use them to start, i have created this website (https://fightscams2018.wixsite.com/endscams/scammers), and I am working on documentary, and media campaign to warn the general public about their fraudulent operations. Hi. i opened with them an account in June 2016 and deposit 500 $. Each day they talk to me to raise the capital to make more profit, at the end the total of my deposit was 4000 $, i make a profit, all alone, more 8500 $ and the balance in the end of August was near 12500$. during that period they always talk to me or send me mails about signals, most of time i didn't listen to them. First of September i received a call from them to open an order and sell 6000 barrels of oil, they insist to open that trade because oil prices will decline, at the end of this day the price up by 1 $, the day after 1.5 $ and i lost everything in 24 hrs. I have raised a complaint to their customers service to refund me but They didn't accept. I'll be grateful if you assist me in this matter. 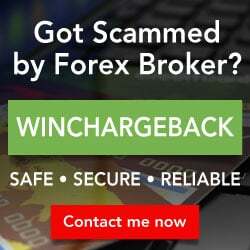 Hi, an update from my side is they processed my withdrawal of remaining funds of US $119 as I made it clear to account manager who I was assigned to work with that am not trading at UFX anymore after the account manager blew my account. It was an email I sent to account manager after submitting the withdrawal request from the platform. He did not respond to the email itself but had the withdrawal processed. I received the withdrawal on the 9th January 2018. Instructions from Forum said we can complain to http://www.isa.gov.il/sites/ISAEng/CONTACT/Pages/default.aspx . I submitted my complaint there on 13th January 2018. Jan 6, 2018 - No Rating Well looks like I also got screwed creating an account at UFX. Only now reading the information here, I experienced exactly the same matter. I started not listening to what they were saying but they don't stop trying and got me to add more cash in and I started listening and do exactly what they told me to do with trades to take and contract size and use no SL. While my loss is only USD $4200 that got stopped out coz of equity going too low in just a few hours between 28/12/207 to 29/12/2017, am waiting for the rest of funds left on the account withdrawal request to be processed. No response as yet from account manager who gave me his trades recommendations and contract size that the account wiped . Will see if they have the decency to process USD $119 withdrawal funds left on account. They ain't convincing me to put more funds in account. So I would like to know since most of us had our heart wrenching experience with UFXMarkets is there anything we can do about it? I lost about 11,000TTD which may seem like a small sum but it will take donkey years to be replaced. These people stopped calling for a while only after I said I had 50US remaining that I could trade... Since they were claiming to 'help me' to regain my lost. Harassements calls from people who have absolutely no background in trading and who behave unprofessionally. Also they hang off if you ask to be removed from their service (as the call you with a hidden numbers that you cannot block), I literally got insulted over the phone while trying to opt out. This firm is purely nuisance and harassment, it should not exist. I'm so sorry to hear all of you have also been scammed by UFX. I too have a similar experience. I started trading on my on my own merit at relatively small risk. I was spammed with many calls every day trying to encourage me to trade on “big events” and keep increasing my account. However I generally ignored them. I was then upgraded to a "VIP" account and assigned an account manager "Sean Dean". He phoned me regarding a trading opportunity which was much higher risk than anything I have traded on. The largest amount I had traded on my own was 200,000 however pressured me into trading with 2 million dollars. I was reluctant but he pressured me to take the trade stating I had enough margin to cover it which was 11000 dollars, claiming it was a once in a lifetime opportunity and it was totally safe. I stupidly listened, but it went significantly against me and lost my money. As the trade was going against me I tried many times to contact him but he didn't answer. I have attached my trading log to show my trading strategy and phone log to show he was on the phone to me when I entered the trade. From reading these reviews it seems a common tactic from UFX to rip of clients. I am whiling to do whatever it takes to make them pay for their disgusting actions. I will start by releasing a review every day on the UFX app informing any customer of this website so they can first hand see our stories. I also plan to complain to FCA and financial fraud action groups. I would like to sue them for what they have done, maybe we can do this as a group, we will be stronger together. If anyone has any other advice on how to deal with them I would really appreciated it, and am happy to join any group fighting against UFX. Stay away from UFX.com ! 50 $ i maintenance comission after deposit, over 1% in withdrawal comission, you can't trust "Trading Specialist" Daniel Miller, their android app is not working properly, spreads are crazy high - well do I need to say more..... Stay away from them. Hi my name is David I registered with UFX in 2015 and I found from my experience there are brokers with this firm that do not have your best interest at heart. so trade and select carefully , if you want to know more about UFX also look at the company RELIANTCO INVESTMENTS LTD based in Cyprus. and Central Markets based in London here is Central Markets contact number +44207 265 7900. Also be aware of this trading firm Titan Capital Ltd based in Victoria Mahe, Seychelles very dodgy firm they are unregulated also. TIP: Always check with the regulators 1st before engaging in any business. 5th May 2017, I contacted by Andy Geller from UFX.com in emails with London business address and phone number: +44.208.1500778 Ext. 1429, 1 Poultry, London, EC2R 8JR —— I later checked this business building, UFX.com is NOT in the building. And I found out that UFX uses this business address in Singapore and Dubai to misled people that they’re dealing with a trading company in London! 9th May 2017, Julian Williams, UFX trainer contact me. He gave me some good deal to start, then persuaded me to add 2000usd to trade. Then he phoned again and give me some really bad advise cause me loss $1278.05usd in total. I complaint about him. I continued to trade by myself to try to recover the loss. 26th May 2017, Lloyd Richard, second UFX Trading Specialist assigned to me. He phoned to have a “chat” and he spin and twist lure me into the conversation about cars and assets and background, yeah this is when he determined how much he would scam me. With his bad advise, Lloyd Richard cause me lost further $1587usd. On the 12th June, I was contacted by a new UFX trainer Sean Dean in whatsapp, emails, phone calls and TeamViewer, and he shown me some charts and misled me that Crude oil will go up, now the time to BUY Crude oil. He said with everything happening in Saudi will put the oil price up. Yeah Sean Dean actually used TeamViewer and pressurised me to double click on the contract and type in 10,000 contract. As soon as the contract 10,000 opened in BUY as he suggested, with no chance to close the position whatsoever, the position went to -$4000usd. (The position opened at 46.61). Sean Dean also misled me that in minutes I can get the profit $10,000usd. In my mind I thought - all I wanted was to recover the money took away by the previous trainer Lloyd Richard, but now this Oil position already -$6000usd in no time. Sean Dean phoned again said if I don’t put in more money then the Oil position will close and I will loose everything. While I was in panic and scared, Sean Dean added my Mastercard to my trading account and I forced to add fund $12,000usd or I loose everything. Sean Dean said this extra money I put in I can take it back, many of his clients take back their extra money and forget about ever put it in! By then my trade account already $20,075.57usd but it still in minus equity. On the 13th June, I wanted to close the Oil position with loss, but Sean Dean phoned again to re-ensure me that the Oil price will go up and I will bring home life changing money very soon. But the position got worse and dropped to -$11,000usd. On the 14th June, morning I actually whatsapp ask Sean Dean if the Oil price will continue to go down but he text back and phoned me right away to re-ensure me that the Oil price will go up and I will bring home life changing money very soon because Saudi try to put the Oil price up to $60usd. But in the afternoon the same day, Sean Dean phoned again demand me to put more money or I loose everything! My trade account was -$18,000usd then! And UFX alert beep on my phone demand another 8000usd to keep my oil position open??!!! The Oil position then closed took away my $19,800usd! The next day Sean Dean continued to harass me with phone calls, whatsapp text and emails Bitcoins charts try to persude me to sell my car and assets to continue trading! What a cold hearted evil. My Crude Oil position opened at 46.61 but I later go back to check again - the 12th June, Crude oil high 46.56, low 46.38. Sean Dean actually manipulate the opening price to 46.61 make it harder for me to get profit. Yeah, I actually witness some fast adjustment right after the Oil BUY position opened on the 12th June. The entire software programme UFX trading platform is a scam, it controlled by UFX and the scammer like Sean Dean. The trading platform software and programme itself actually a clear evidence that UFX and its scammers controlled and manipulate to scam people’s money. Yeah, Sean Dean planned a final UFX Kiss of Death trade. ALL I WANTED WAS TO RECOVER THE MONEY SCAM AWAY BY LLOYD RICHARD AND JULIAN WILLIAMS BUT YOU SCAM ME FURTHER AND CREATED A LIFE CHANGING DEBT! I contacted UFX customer service and Molly Allen replied with an email full with LIES and offered me $500 to continue trading. What an insult! 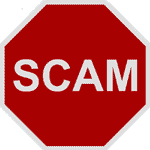 I am going to tell my experience and translate into other languages to warn people around the world about UFX scam. Jun 19, 2017 - 1 Star ufx promised me i can get 10,000usd profit in minutes but in minutes it went to -4000 and force me to add more fund to 20,000usd. and then he took away my 19,800usd! the next morning he continue want me to invest more. 2 different trading specialist work together they know i have a car and house and he want me to sell my house to fund trading. This is a crime. please we all make complain bring them to justice. https://www.ic3.gov/complaint/splash.aspx? I trade with UFX from three months Ago they made loose all my money the broker opened a high risk positions and he was confirming and assuring that it's not risky and he knows what he's doing and after he lost all what I have he told I was helping you simply like that. I told him, then he said ok I'll help you to return your money, I said ok how? I am one victim of ufx lies and scams. The adviser Salmane Rajab burns my account in one transaction, more than 12000$ loss (he buys 5000 position oil, my package does not support this amount ! ?, he did not make any stop loss or protection) and this contradicts the UFX slogan: ( UFX is committed to creating the most comfortable trading environment along with the best trading conditions).!?!? He refuses to explain the causes of the loss with no responsibility and recognition of the error and also contrary to UFX stated principles :(But be sure that your personal trainer will not leave you once you have successfully used the platform. We believe that constant support opens new doors for you, answers all your questions at any time, and with what degree of experience you have gained.) !? I call many time the first adviser Hassan Omari and send many Emails, many calls but no feed back or answer!?? I send Email to complaint service, also no feed back or answer!? This is the reality of UFX, the real face of UFX, do not take chance to invest with this company and stand away from this company, Salmane Rajab and Hassane Omari. I found this company advertising on twitter, im living in Dubai i contacted them then they started to contact me to open a small account , i opened a small account for almost 3000$ lost then they told me send again so we can recover , i send again 16k , then 75k then 65k the total was almost 130k $ , all the time someone calls me, he tells me all the trades i should do, i executed all the trades he gave me AND ALL OF THEM WAS JUST LOSSES, sure because they are market maker , they told me now we are in a bad posetion and you wil get Margin call soon, for that you have to send at least 50k , i sent them 52k$ , all the money i sent some was with credit card and some was with Wire transfer, to there bank account in Nour bank in Dubai, after i sent all the money i found someone online he warned me from them, and told me to close all the positions i have and withdraw the rest of the money, i closed all i still had 98750$ on my account , i sent a withdraw request the same guy i was dealing with and gave me the trades , told me we will not send you anything you have to trade with this money other wise you lost the money, i told them i need the money and i dont want to trade ... so what they did , they told me if you take only one trade now on this account we will give you all the money back :::i took another trade and the 98750$ disappeared from there platform !!!!! not just that ... they kept calling me telling me sell your real estate and send us 120k to cover you all the losses ... this company is simply A MAFIA ... they have to be closed everywhere where they have there license ...when a clients from the gulf area opens there website, you dont see all the license you only vanuatu !!! when you open it from europe you see that they are licensed from CYSEC ..another thing with CYSEC, do you want to tell me they nevery heared about all thiere scams all the time ..and they still leave them open cheating others !!! ever seen wolves of wall street? ufx does that !! their account manager forces you to deposit more but apart from that what makes this broker a worst is their servers go down often on web based platforms so you wont be able to close the trades!! i lost 1800$ which could have been a 100$ profit trade but because of not closing i lost all my money ! !their server went down and they blamed on me even after saying that their website showed a message as server down! i would say guys just look out and there are lots of advanced good brokers and i would be so glad if any single person change their mind from using ufx!! I have a big issue and complaint on UFX company, a broker called me from this company and convinced me to open an account with them. So I started with $500, and we had so much calls via TeamViewer application. after one day of funding my account with $500 they started to convince me to put more and more money into my account to have a gold account with VIP members and 24 hours help and recommendations and an account manager that will stay with me all the time and call me when any event or report will happen or is happening in the market. Sorry I am poor with English and I am an Arabic speaker, but I will try to explain the whole situation. After opening the account with $500 they pushed me via call phones and on TeamViewer to add more and more money and they started to deposit money using my credit card from their side (it was under my approval) and convinced me when i reached the maximum limit of my credit card to transfer money to their bank account in UAE and it will be deposited into my account the maximum in 24 hours, but it tooks 4 days to get it into my forex account, and now i have $25000 (twenty five thousand us dollar). after that my account manager started to let me trade with low risk just to show me how much i can profit and get benefit, until he pushed me to open a trades with bigger amount and high risk without stop loss limit, i started to gain some money. And when i requested to withdraw some money from my account here all the treatment changed from his side and he pushed me to open a trade on gold before the time of the interest rate in America and said the gold will decrease so much and you can make 40 to 50% of your initial amount deposited in no time, but what i discovered that the gold increased too much in price and i lost more than 60% of my money and he disappeared all the day and stopped replying to me, same for support team in UFX (no one call or notify me or advice me what to do), knowing that It's a VIP account that i have!! Here i closed the trade after losing around $26000 (my initial amount and the profit that i gained before that day). i was so shocked with all the loss without any notification from their side. The next day, the account manager called me and blame me why i closed the trade and the gold will decrease again and i should deposit more money into my account to have more margin for it, but i told him i can't and i am out of money, so he convinced me to sell gold again with high risk but the gold kept increasing and i lost more $5000 from my balance and also he didn't reply to my message or called me. Here i closed the trade again and i requested to withdraw the rest of the money i have into my account and now waiting for the approval from their side to release my money. End of story, this company should be closed permanently and cancel it's license, they are pushing people to deposit a lot of money and cheat them and convince them to deposit more and more and make you lose all your investment. i lost $14600 from my money in less than 1 month and now they disappeared totally and can't get any reply from their side. what i can do in this case? and is there any way to get my money that i lost due to the cheat and fraud that they made? had some issues but after extensive talks with an advisor, my complaint was resolved fairly. 2016-02-10 1Star the company is very reckless and offers a very abysmal service. there is no care for a client's funds and offer next to no help when things go wrong. they lead you on a very dark path that cannot have a positive outcome. A) “UFX is an internationally recognised leader in the online trading industry. In 2011, UFX became regulated in the European Union and our global business is regulated by the Cyprus Securities and Exchange Commission (“CySEC” or the “Regulator”) and subject to CySEC Rules, thereby adhering to the highest ethical standards, customer protection, and security of funds. The license number is 127/10”. I started trading with UFX 2 months ago I deposited $500 with credit card I was assigned a personal trading advisor (Jennifer R) and started to trade straight away I made very little profit around $ 5 and kept on opening trade by the trading advisor and was told don’t worry I don’t need to know too many things as from now on, I will have someone with me who will advise me and be there for any trades I open, I won’t be left alone to make decision, and will be mentored all the time. Soon I was told I need to add more funds to my account as there was something big coming to the market and I need to take the opportunity. Every day I received call from Jennifer about trading opportunities and again am told that I need to add funds to be able to trade. I WAS pushed to keep adding funds and told in forex trading the sky is the limit .I was asked if I had any assets or money anywhere and if I did ,I should bring everything to the trading account because very soon I will see the incredible return otherwise I will regret and that’s what the managers done too for themselves, they said they speaking from their experiences, again and again I was told very big opportunities coming in the market which I shouldn’t miss, I was told to ask for a loan from the bank if I can’t get funds from anywhere else otherwise I will regret and then they gave examples of their other clients who followed their strategies and really making a lot of money . They said they were going to work together with me so I can eventually quit my job and attain full financial freedom and they were very convincing. I added another £4500 via wire transfer not credit card as I had the cash, Then I was told I will be transferred to a another manager (Tom P) who is higher and better who will help me to maximise my profits because I am now at a different level in my account. He called me every day and told me where I need to open trade and how much and explain the platform a little bit, I was learning as I am a completely beginner. Many trades were open and close with profits. Then I was sent Down Jones charts and told Down Jones is a bigger contract and needed more funds as the returns is quite big and what I can profit/achieve in a few months I will be able to achieve in a week or more with the Down Jones. Again I was pressurised to add more and more funds I was told that we will be working on a different strategy and the more fund I added the higher points I can trade with the Dow Jones by then my balance was funded up to $40,000 by many payments through the credit cards. Again I was told to pump in more funds into the account ,when I said I can’t make any more payment from credit card from , I was told to take a loan from bank or remortgage if I can, when I said I can't do any of this I was told some of the people have gathered colleagues and friends and raised money together that was a very good and easy way to add funds .I was send a copy of a strategy done by one of the client who has gathered 10 colleagues together and raised quite a lot of money more than a $100,000, I was told by doing this he will make incredible profits in a short term through his trade in Dow Jones. He told me if I knew friends, colleagues and families he will speak to them and explain and said I should show my portfolio and they will be convinced. I was told the company was regulated and had the client’s best interest in mind and UFX wanted to build a good and lasting relationship and knew that I know many people and I will recommend them to UFX and I was a very important client for them. Then I was told if I can get more people. I asked to withdraw $1,500 and it was processed many days later then every time I said I need to withdraw funds I was advised to leave it in the account for more days because we waiting for this and that big opportunities and it was better to have the funds then I can withdraw. Every time I have told the manager that I have credit card deadline to pay so I need to withdraw money I'm told wait until the last minute I then he will ask for an express withdrawal request. I told him I spoke to the bank and they said the money must be in 3 days before and Ufx take a long time for money to clear and be in the account. I was convince again not to worry and he will do it today before he leaves the office and better leave the money for couple of hours today because of the us non-farm announcements it was Friday the 06/05/16 right I was told again if I have spoken to my other friends and told them to wire me the money to my account and then I can transfer it to UFX and have the money ready for Monday Tuesday so we can start trading on oil and I was emailed the chart about oil and told from next week it will be literally like money on the floor that’s how profitable it will be, I spoke to my friend and he said he is not able to wire in $45,000 this week it will be next week and 2 more friends said the week after they will give me $ 10,000 each. I told my personal trading advisor Tom that it wasn't possible this week. Few days before Friday and that Friday I had opened many trades and all resulted in profits all the trades I opened were, I was following my personal training advisor and he was telling me what to do how many contracts to add and if the trade was closed reopen them again and keep on profiting from it. All was under guidance from the advisor, if something was opened wrong or by mistake I will speak to him straight away and he in turn was monitoring all the trades. Friday the 06/05/16 by 1.25 pm most of the open trades were closed and I was on the phone with my advisor my balance on my account was around $130,000 out of which around $70,000 was just profits. I was going to withdraw my profits and the credit card payment withdrawal that I have repeatedly ask before and he was going to do it that day. I have worked very hard and I was told again and again that I was a very valuable client in the company it wasn’t a lie they really meant it, and soon the way I was working I will very soon reach $180,000 then more and more, however when I reach $150,000 I don’t need to worry about withdrawing profits because on even a quiet week I will be able to withdraw a quarter of my balance without worrying about my margin and equity. That Friday I was asked again to wire in more funds before the announcement happens because after the US non-farm announcement more opportunity will be here with big profits. Everything was going so well I was in shock and never at any point was I advise to put a stop loss that this can be very risky during these times with Tom P he never spoke about stop loss or risk involved I was told that only 2% of the margin is used in trading. I called and ask what happened I was told it was an unfortunate process which has affected a lot of people because something to do with indicators and this can happens in 1 to 15 times and it didn’t happen for a very long time , Wasn’t told this information before being told to add 3 trades for gold few mins prior to the announcement ,I shouldn’t be told to take a big risk like this without warning and we could have waited for a few hours or until Monday for the markets to correct itself then start taking advantage of the announcement even if there was a 1% of risk involved to open a trade just before a crucial announcement I should have been told and also told to add a stop loss it will be better to lose a few thousands or not to add any trade at all during this uncertain times than losing everything. I was told don’t worry just go home and don’t think about this at all during the weekend and Monday we will speak about it he will be here and help me and do whatever he can to sort this out and I shouldn’t be negative at all and we are in this together and I must trust him he will do everything he can.. I spent the whole weekend in extreme dilemma and shock, didn’t know what to do and couldn’t believe what happened, I called friends and family to borrow me some money to pay the credit card but couldn’t find any help anywhere. Was very stress and depressed I wanted to kill myself I didn’t know how I will tell the other 3 people who have added funds in my trading account couldn’t face them and told them the truth, they have believed in me so much and trusted me with the money and I have showed them the account summary of how much trade I’m opening and the profits I’m making. I wanted to take my own life I couldn’t find any solution I had only £ 10 left. Monday morning I started to make phone call to UFX no one pick the phone I tried all their extensions but no reply, I emailed Tom and reminded him that he needs to call me and sorted this out he told me I was a priority for him and he was going to try his best to see what can be done. I spoke to him many time on Monday he told me he doesn’t have any solution yet and he was trying his best I called again and again, HE told me that this week was the great opportunity for oil and send me a chart and explain about something like an elastic band with the oil and I need to make sure I carry on trading he asked me if I can add some funds in the account and I told him I don’t have a penny left , he said what about the other friends n family who wanted to add money I said I can’t tell them now because of what happened I can’t ask any more money it wasn’t right I cant take any responsibility of other people money I need to sort this out first , I was told again and again that if they added money I will catch on the great opportunity on oil as it doesn’t require a big margin and balance for oil trade I simply said no that I won’t be able to do this under any circumstances. I was told in the meantime it was better to have funds in the account and carry on trading I said again I don’t have a penny left. THEN he said he will try to speak to a very dear friend of his who many years back he has done a favour and the person is also the account chief analyst and was going to ask him to return the favour for something very big he had done before, he made me believe that h=as I was very valuable to him he will use this just for me and he will also get the account as a project account. He said this shouldn’t be more than a few days. I believed him and waited and waited, I emailed many times to call me with an update and was told that I need to wait he will let me know I was under extreme stress didn’t know where to turn. The next day I called and called again then I was told an account manager will call me then someone called Alex Cooper the account retention manager called and said he was going to get me up and running very quickly and I needed to give them time I will surely recover and make up to $500,000 in a couple of months but I need to believe in them and be positive and don’t give up. He asked me I need to at least fund the account with some money and I need to deposit some money he will make sure he will give me the best personal trading advisor to work with me and there are many different ways and strategies that will be put in place for this not to happened again and if I don’t want to work with Tom then he will assign one of his best trader. I told Alex I don’t have a penny to add to the account he said Tom told him I know many people who wants to add fund with me to trade with UFX and I can ask them I said that wasn’t possible at all I can’t take responsibility of others money now I need to make sure that my case was resolved first and then I can think about it again. When he understood that I wasn’t going to do anything he told me he was going to see if he can try to see what he can do because I was a valuable client and wanted to make sure I was trading again. After many phone calls he kept on telling me he was doing a favour again as a valuable client and no need for me to go in the past I needed to move forward and be positive to be able to carry on and make enough to withdraw and pay the credit card too. He was going to make sure putting one of his top advisors or he will work with me himself to achieve this again and in a couple of months’ time I will forget all this after recovering again. I told him the form you send me to sign is very complicated and has too many clauses I was confused Alex said don’t worry about the form just sign it and you can start trading again , he called me many times and said that too many opportunities happening about the oil and I’m missing it. He said he is waiting for the signed form from me. I insisted that I feel I was messed around at the last minute and told him it feel like it was done purposely and it was a foul play. Just before a withdrawal was going to be made I was made to perform a deadly trade, and I said I have checked if something similar has happened to others too. ALEX told me that wasn’t true and he is not aware of anything like this by then I was very annoyed, cheated, felt betrayed conned and let down Alex told me he told the chief complain officer not to answer me because we are negotiating are have come to an very good arrangements which I didn’t. I said I still want him to look into the complaint and receive an answer, while this was the complaint procedure he should follow, Alex said that the complaint officer will give me less money and it was pointless, I insisted I want a reply not long after the complain officer Adam Miller called me and said same thing had a very long discussion with him and he said after studying my account I’m at fault and because I’m very good and important client. After many attempt to persuade me that ufx had done everything for me and they were not at fault. If I wanted he will personally work with me to recover, I insisted that I wanted a written reply not verbal he told me he wasn’t able to do this and attempt he said he was going to see if my account can be funded by UFX with £ 10,000 then many attempts again he sad $ 13,000and called me on Sunday and said that he has emailed me a form I need to sign, dated, scanned and emailed him back the form straightaway the fund will be release by Monday. I lost $ 130,000 and they were going to add only $13,000 and I made a complain to UFX chief complain advisor and he emailed me back and said he will answer within 5 business working days. Before I was told to open this gold trade I have reminded the manager I need to request the withdrawal because my due date was approaching for the credit card I was told don't worry it will be requested at the end of the day . I've lost everything in one minute by following what they said and don't know what to do I'm left without a penny and I still have to pay the credit card which is a big amount and I own the 3 colleague money for the funds they added too .ufx has said to me give it some time and be positive I will be able to gain everything back they said they don't want to lose me as a valuable client they will offer an exgratia payment of $13000 and that will be final I don't want to sign the agreement I lost $1350000 through no fault of mine . $ 15,000 for me to start trading again to regain the lost, I have lost $ 130,000 with a last minute bad advice. I have explain again and again that I had opened the last deadly trade because the personal advisor has call me and was on the phone with me telling me I need to open the trade few mins before the us non-farm announcement, Wouldn’t open the trade if I wasn’t call by phone and told to do so while I’m still on the phone. he instructed me how many oz. on gold and how many trade , and didn't tell me it was risky I might lose everything , I’m gutted I don't know what I need to do ,the personal trader advisor knew very well that, that day I have reminded him that I need to make a withdrawal to pay the credit card , which I requested 2 weeks ago but was told not to do it now do it on Friday after the announcement ,within 5 mins everything was wiped out, not sure what to do next and if I will be able to recover this money . I've been put under extreme stress and pressure. What Tom P my personal trading advisor told me about the favour he was going to ask the chief analysis and my account will be taken as a project this promises were not honoured and I didn’t hear anything about this again. I Emailed Tom no answer from him then Alex told me he has asked everyone not to contact me as he was the only one dealing with me until this matter is resolved. Relianco investments ltd (ufx markets) agrees to remit to the personal account of the client the amount of $ 13000 as full settlement of any claims monetary or otherwise past present and future which the client may have against ufx markets and its employees. the remittance is made strictly as an ex gratia payment and ufx markets admits no responsibility or wrongdoing of whatever nature in relation to the remittance or the relationship between ufx markets any of its employees or associated parties . The client expressly and unequivocally agrees to accept the remittance of the funds and declares any all claims held against ufx markets any of its employees. Thereof to be withdrawn. for the avoidance of any reputational loss to ufx markets and any all third parties such as but not limited to forums,blogs, public bodies, governmental or enforcement agencies ,regulatory authorities or magazines which the client has contacted regarding any and all claims against ufx markets thereof shall be informed with immediate effect of the satisfactory handling and successive withdrawal of the claims.The fund will be made available for immediate withdrawal upon confirmation of informing the third parties of the withdrawal of the claims. Accordingly, and based on the facts UFX has no responsibility in any way for your losses. To see you as one of our successful traders. +44.208.1500778 Ext. 1675 +44.207.6811810 AdamM@ufxmarkets.com. I have emailed back straight away what is the next step of the complain and haven’t heard from anyone. I'm going to start this review by saying that because of this company I have lost 110,000.00 USD in a period of one month. When you first start working with this company they show you that you're making profit, an unbelievable percentage, then the advisor asks you add more money. And because of the profits why not add more? But when you're account grows enough they start giving you bad advice and they stick to it in order for you to lose all your money. After checking my account and saw that I was losing all my money (capital and profits), I called the advisor and he advised me to leave the deal because the market was going to change and EUR/USD was going to go back up; after a long argument over the phone and via emails he stayed persistent and convinced me to leave the investment and that the market is definitely changing in the morning. After waking up the next morning I saw that not only did I lose all my money, but UFX also closed all of the trades I was involved in, no matter if they were losing or winning. They closed all my deals without me asking them to do so. Not to mention that when I first found out that my deals were losing money I contacted my advisor who didn't reply before I said in my last and tenth email that I was going to withdraw all my money. When he finally calls he says that he knows of all the losses and told me not to worry because he's monitoring the account and that its all going according to plan. The next morning I contacted customer support to report the advisor, they told me the person responsible of complaints was going to call, but instead the same misleading advisor calls, and tried to blame me for the losses. After a week of daily calls and emails he finally convinced me to invest again promising that he wouldn't make the same mistakes, make up my previously mooney, and that we'll take it easy this time to make sure that he doesn't lose my money again. I added a sum of 20,000 USD and made sure that the advisor knows that the money was from my family's savings and my kids' university tuition. I only added the money after a million promises, I made sure were sent by email for me to have proof of our conversation. But within two weeks he lost all the money and UFX did the same thing by closing my trades overnight and closing all the deals I've made without asking them to do so. The second time he lost the money, we went through the same process of me telling him about the initial losses and him insisting that this time wasn't going to be the same as last time because this time he's more sure about the market shifting to our benefit. And that he was monitoring the market and my account closely, and because of that I was convinced to leave the deals even though I was strongly against it. After the second time I lost all my money, I contacted customer support again, they told me that the complaints officer was going to contact me, but up until today, the fifth day after they closed the deals, no one other than my condescending advisor has contacted me in the hopes of getting me to invest again. After telling him off, I told him that I was going to sue him. His reply was “my company has a 100 lawyers backing me so do what you want”. So please if you find yourself in business with UFX get out as fast as you can, and if you couldn’t withdraw your money as it’s a common issue with this company, stay away from QUSAI HIJAZI who made me lose 110,000.00 USD. I have had a real cool experience with UFX. I have traded with them for 4 months, used both their mobile and desktop app, enjoyed their crowd data and made some modest profits. When I asked to withdraw my profits, my account manager got disappointed and tried to persuade me to stay, but once I explained that I want to quit, the process went quickly. I do not understand what it is that you are complaining about . and then you YOU lose your OWN money you cry about it . I was trading with UFX from 2009 - 2013 I started with a $10,000 and ended up with a bit over $ 100,000. I decided to close my account due to some health issues. On August 2015 one Jacob Knight called me up to ask how i was and if I want to start trading again . After about an hour conversation where he has explained to me all about their new risk management plan and the new platform they have launched on the first of this month ( he told me about it in advance ) I decided to deposit $ 20,000 and in 6 short months i made a profit of $ 80,150 with the help of Mr.Marks and Mike Junior . please make sure that it is not your own GODDAMN FAULT. A wonderful day to you all . Review Moderation Team Note: 4 Star Rating removed. This review came from the same location used by UFX's client's complaint officer to post in the FPA's forums. There is also a forums account belonging to Jacob Knight (a UFX employee thanked in the review) accessed from the same location. i have many times treated by ufx.com i have been joined ufxmarkets.com since last one above years and total loss made around 25000 doller loss last so i have two compalaint to file against ufx and request you to read and take necessary action and any other trader will not trap again. 1st compalin is againstmr.moradh@ufx.com (moradh hamed)who is a personnel trading trainer who cheated me on aug 29 while i was trading i ask some help from him about the trade he was given a wrong information and told me the trade was safe and the fund was in safe mode i believe his words and the same day eve when i chek my account all the money from my account was lost as because of he misleaded my trade and i emailed him there was no reply. i lost almost 6000 doller in this trade. i have to clear all my debt with the bank and there is no other way as my salary is very littlle to cover up my expences. on oct 8 he opened 2 trade tru dealing room and one trade made 100 doller and other trade made me full loss of money and as i don’t have net access i don’t aware about this loss he called me on friday and ask to open deal and make 100 doller profit and he did not even told my loss in the account on saturday only i knew that all my money was lost as i knew he was trapped me again. coz he ask me to trade opposite direction while the gpb against nzd was falling he force me to buy gpb of 400,000. while he knew its very dangerous trade why he oppened this account i don’t know and i emailed him and ufx team there was no reply. from all my experience the team is asking to deposit more and more money one i told no cash available they will trap us and making the trader a heavy loss so i humply request to the honarable pls take necessary action against these type of malpractices so that the trader go safe. I opened an account with UFX in Sep 2013. started with $500. but eveyday they called me and asked me to increase fund to 3000 so that i can be silver member or gold member (don't remember ). they said i can get more services from them like daily email . my account manager suggested me to trade this n that . but lost. so i decided not to listen him and start trading myself. then i got a few profit. then called me everyday and asked me to fund till $10,000 to be a VIP member. but i didn't . i traded by myself and one Wednesday night my fund become $10,000 . i was so happy and thinking to withdraw my capital (actually i fund trading account using my saving money for my wedding). my account manager called me and told me that i m VIP member now. he told me to buy more. i was too stupid and bought more . Unfortunately the stock i bought fell down to hell and i lost everything. my account balance became $3. my heart really pained. that's a bad experience that i will never forget in my whole life. I told them I worked with regulatory compliance before. So they found a neat way to cheat. And I thot I was smart enough to escape. They deliberately did not allow me to close loss making deals. They did not allow me to withdraw money. Beware of the guys who just TALK and TALK you into things. I lost hard earned money. Am in shambles. They should be taught a lesson. On 15.JUL.2015 I was trading EUR/ CAD pair and I made 7571.36 USD profits. The same day I get email from their employee (VikyG@ufx.com), they deleted my profit (7571.36 USD), in connection to section 9.6 terms and conditions. NO QUOTE means I couldnt open deal, but I did, so they are wrong arnt they?!?! Same thing here. Being manipulated to have focus on oil. Suddenly all trades are closed automatically in my account (had enough money so not because i was traded out). I had $5000 in my account. Then AFTER i lost $3000 by that move of their hands, they just told me that its my own fault, because that is done automatically and i should have known that. And i can read about this somewhere on their page... omg! No i should not have known that, since they have been busy getting me to buy/sell oil. But the just "forgot" to tell me it will close automatically some days after. They never told me anything about any contracts closing etc. How can any new trader know this? And.. they KNEW that i did NOT know that - and thats why they want me to focus on oil - so i could loose my money. Maybe they was hoping for me to put even more money after this scam. "OIL has an international contract from the 18 to the 18 of every month trades are closed automatically". NO ONE called me - wrote me - or ANYTHING to give me this information before AFTER it happened. And they ONLY gave me this info because i ASKED what happened. So very short: They abuse and manipulate "newbies" until they loose all their savings. And they dont feel bad about at all. And they do it by the phone, so if you do NOT record your conversations, you do not have any prove.. So remember to record all your converssations with them! open an account pushed in to put more money while not making profits on the current ones in the account, My Account manager was very hlepful and informative and as every body is talking they make you some profits first and win the trust and when you reach on the point you will add and that is what i did and my account was one day on $1932.00 and problem start when i had to withdraw some money for an urgent pay out and till now they did not transfer the money in my account which they are saying will take upto 10 days and now my account is saying on $32.00 which when i asked the guy said you have lost it in a trade and he also says i called you and you could have save it if i would have pick up that phone call. and i think they are a scam because they way they deal with your money and you and i am seriously thinking to take them to the court and not letting them get away with it. i have a very bad experience with this company. they are cheated me with my hard earning money and profit. they do not disclose their office address. be away from this broker otherwise you will loss your hard earning money. This Company steal my profits about $900 from $50 they gave me after verification of my phone. But they started with forcing me to deposit at-least $500 instead of reminding me that I have fulfilled their T.O.S for withdrawal of any amount I should need. I have transferred my all money in the wallet 8927 $ to my bank account .Tamer Abbas my account manager refused money transfer and forced me to return money back to the wallet then log me in a losing deals to lose all my money except 692 I have transferred in the same day as I already lost my all money.I sent first mail to customer support at 13 April 2015. After many times of contact Ibrahim Qasem called me to resolve this situation that I must send any value of money and he will increase it to one and half of this value and I accepted as I want to return back my money .I sent 5332 $ and company supposed to send me 7998 $.Company sent 4300 $ and till now I didn't receive the rest of the money .I lost 9957 $ till now without any rules without any justice.I want all my lost money and complete investigation for this situation. Because I have been their customer and EXTREMELY dissatisfied with their way of account management as well trading tips and hints. They tell you “Dow Jones” is about to “drop” for an unprecedented amount of points in its history and if you don’t put all your money in this deal now you will regret forever and it is just about to happen NOW. They even told me to call my father (although he is dead in last 2 years) and ask money for a short period of time because I was going to make money and give this money back with their tips anyway. Their account managers are more like bad actors and they call you everyday to run through a little bit supposedly "market update" but more than anything else all they want is to ask you how much more money you can inject to them so you can make a great business deal and fat profits. They tell you it is to their best interest to make sure you make money for a long period of time otherwise you will be out, but this is absolutely a big fat lie because they make their money for your every single trade no matter you lose or win anyway. They pretend to be feeling so excited that once in a life time opportunity is about to happen and you are about to miss that out. To achieve this they raise their voice almost screaming at you and ask “do you want to do $50, $500, or $50,000 it is all upto you.” We all know that sort of bs so with one simple word they are not account managers but bs artists acting like that. At the background I always heard another UFX "account manager" talking loudly like that with another victim. Another reason why an absolute no to UFX is that, they constantly monitor when you are trying to make a deposit say with a CC and if that transaction fails for any reason, their very “helpful” accounting team straight away call you if you need their help, will you allow them to retry on their side one more time which may work. When this first happened to me I already knew that these guys are so hungry for any $s and they do their utmost best only to take your money in their DANGER zone. On the other hand if you want to take your money out they may try to make you change your mind and more and more offers they cast at you like you going to be their VIP customer although the min investment amount for VIP clients is $50k but they don’t mind doing this for you one off because they love you so much etc etc etc which never ends. I only write this review since I have lost significant amount of money just because of their brain wash and I just want to protect a few others from falling into the same pitfall. Just simply be careful and if you give your hands you cant take yr arms back from UFX.